There are more vacations than ever designed to attract specific groups of people. For petrol heads, depending on your budget, you could drive a dune buggy in Dubai or drive a high performance car around the Nürburgring in Germany. Let’s take a closer look at what’s available, how to get there and where to stay. Why not get a group of friends together and spend a day driving a NASCAR stock car at one of 13 of the country’s major speedways? 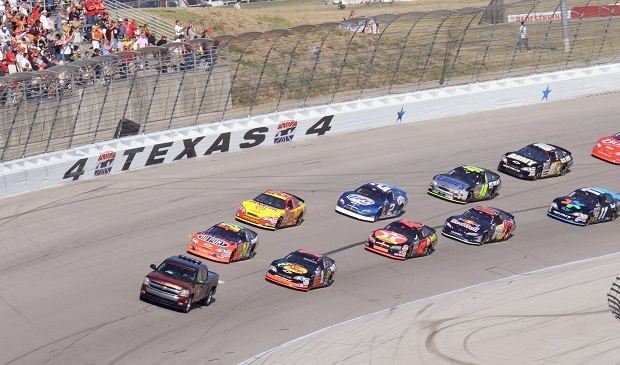 A number of options are available, such as Ride Along, which includes three laps at racing speed, driven by a professional; a Three Hour Experience driving a NASCAR car for a five minute timed racing session; and the Premium Drive 8 Minute Timed Racing Session – this three hour driving experience includes either one eight minute timed session or multiple, back-to-back sessions. The three-hour sessions feature a driver’s meeting with the Crew Chief, instruction and training, followed by timed laps on the speedway. In-car radio enables an instructor to offer advice as you drive, but there are no restrictions; overtaking is allowed and you drive yourself. At the end of the session you receive a souvenir racing license and a graduate certificate. As all the speedways hold major events there will be plenty of nearby hotels/motels to choose from, not to mention eateries and entertainment. One of the most challenging and by far the longest racetrack in the world, the 12.944 mile Nördschleife or North Loop is used as a test track by numerous motor manufacturers. Home of the German Formula 1 Grand Prix until 1976, the F1 record of 6min 58.6secs, is held by Niki Lauda in a Ferrari 312T. The Nördschleife is open for tourist drives throughout the year. Tickets are available for one, four, nine and 25 laps of the circuit, each limited to 15 minutes. There are campsites within minutes of the circuit and a number of nearby hotels. While in Germany, why not pay a visit to BMW, VW, Mercedes-Benz, Audi or Porsche? All offer factory-tours and have their own museums. Start by taking a drive up the Pikes Peak International Hill Climb course, around ten miles west of Colorado Springs. The 12.42-mile, 156 turn course winds its way to an elevation of 14,110ft, a height gain of 4,720ft. There is a good cross section of accommodations to be had in Colorado Springs, along with a choice of restaurants and shopping. Pikes Peak to the Bonneville Salt Flats is a drive of around 720 miles through Wyoming and into Utah. Take a couple of days for the trip and book yourself into a motel at one of the small towns along the I80 between Cheyenne and Salt Lake City. The nearest town to the salt flats is Wendover, a distance of around 87 miles; there are several accommodations to choose from, along with casinos and bars. The only safe time to take to the salt is July. At all other times of the year there is a real risk of water on the surface, making driving hazardous. Make sure you sort out your visa to the states before attempting to enter as they are pretty strict. For something a little different, search online for dune buggies in Dubai and book yourself a flight; Flights.com has some great prices. Each rental company in Dubai offers its own packages; they typically last for between three and four hours and involve fully equipped buggies featuring roll cages, helmets, bucket seats, seat belts, night lights, fire extinguisher and back-up vehicle to minimize mechanical delays. Convoys are usually headed by a qualified safari driver. Minimum driver age is 18 and a valid international manual-driving license is required. Whether you decide to stay close to home or take a trip to the other side of the world, there is sure to be a vacation to suit your pocket. What are you waiting for? Get online and start planning your next petrol head inspired trip. Located on the southeast coast of the Persian Gulf, Dubai is the most populated city in the United Arab Emirates. Millions of tourists visit Dubai each year for its unique culture and amazing experiences. Rated as the best place to live in the Middle East, Dubai has become a transport hub known for its skyscrapers and high-rise buildings. There are hundreds of attractions to visit in Dubai, but here are a few family-friendly places for the kids. Atlantis hotels have been placed worldwide with attractions for the entire family. The Atlantis Resort is located on the western shore of Palm Island and offers a variety of stunning views and attractions. The Dubai Atlantis Resort allows visitors to swim with dolphins in their natural habitat. Another way to get wet is to visit the Aquaventure. This water park features 42 acres of water slides, rivers, and rapids. For those wanting to stay out of the water, The Lost Chambers is an underwater aquarium with over 65,000 marine animals on exhibit. The Atlantis Resort is open 7 days a week and can be found at www.atlantisthepalm.com. 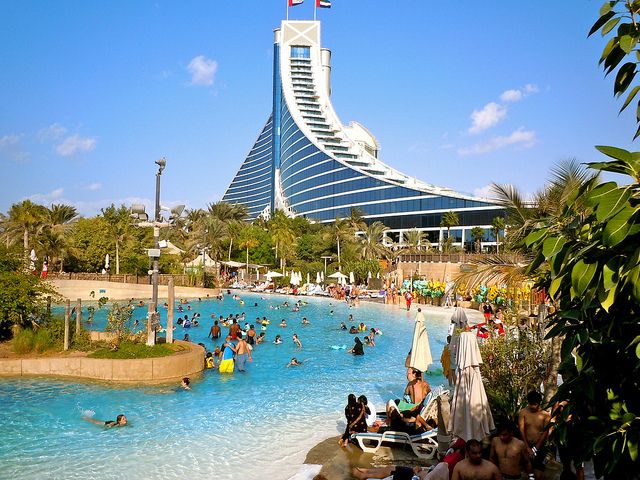 You can find some good deals for That Atlantis Resort and other Dubai holiday packages with free half board by just doing a little research on the web. There are hundreds of exciting activities to do in Dubai. As a cultural center of the Middle East, Dubai offers everything a visitor could want from adventurous outdoor attractions, to fine dining restaurants in the world’s tallest structures. When visiting Dubai, be sure to maintain a cultural respect for the city. Specific dress codes for women and no public displays of affection are requested. There you have it, just some of the best activities for kids in Dubai. Enjoy your next trip there!